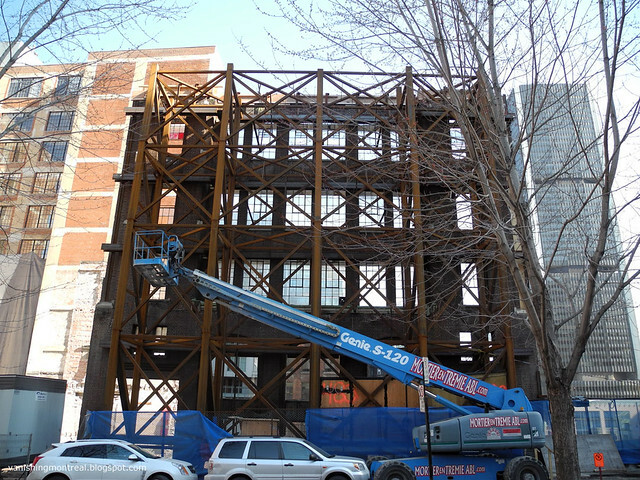 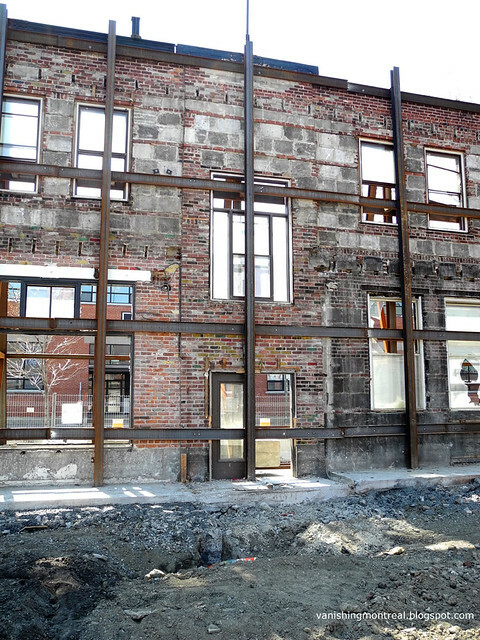 The two first photos show the new condos on Du Fort street in downtown Montréal. 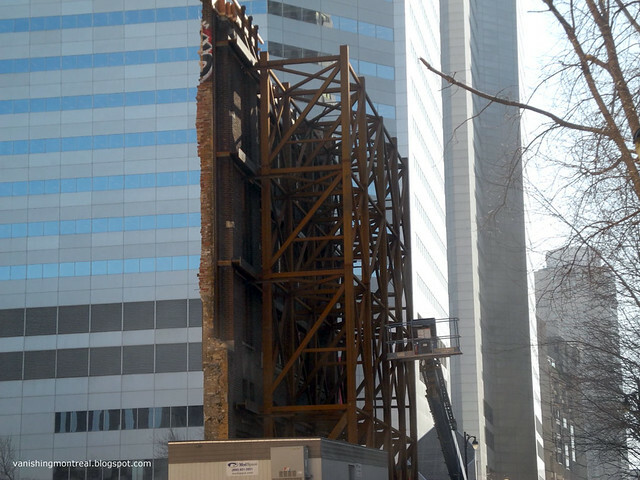 I've already posted about this here. 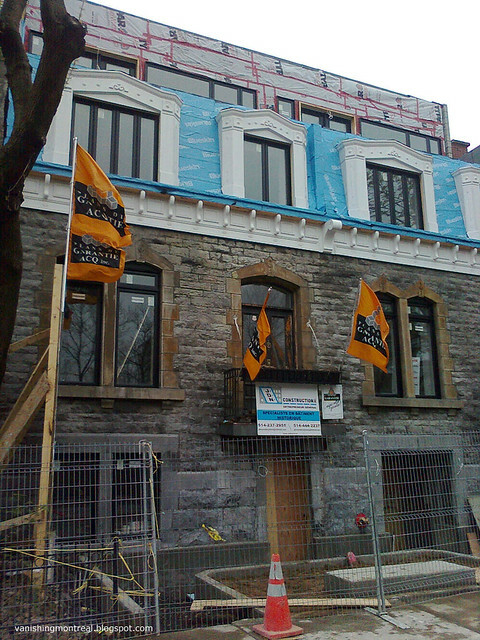 The construction is almost finished. 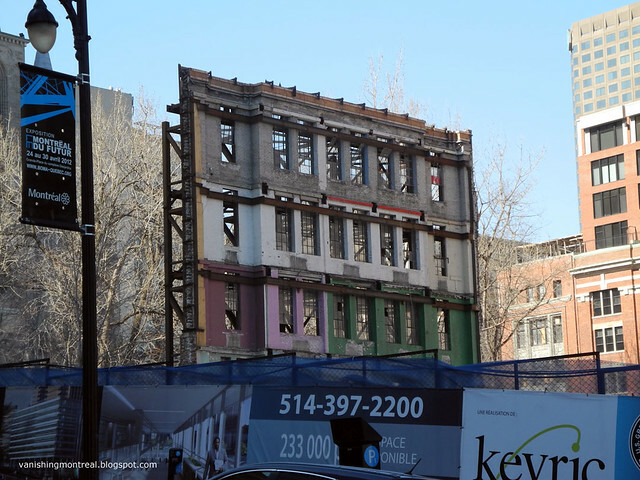 They kept the facade and gutted the interior, to add more space for more value. 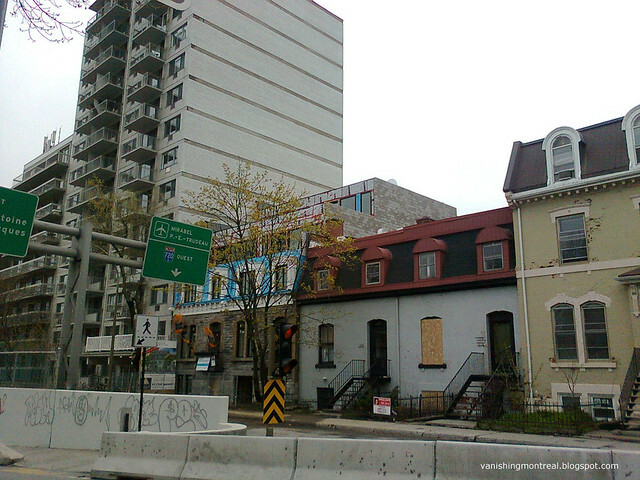 You can see the added levels in the photo below. 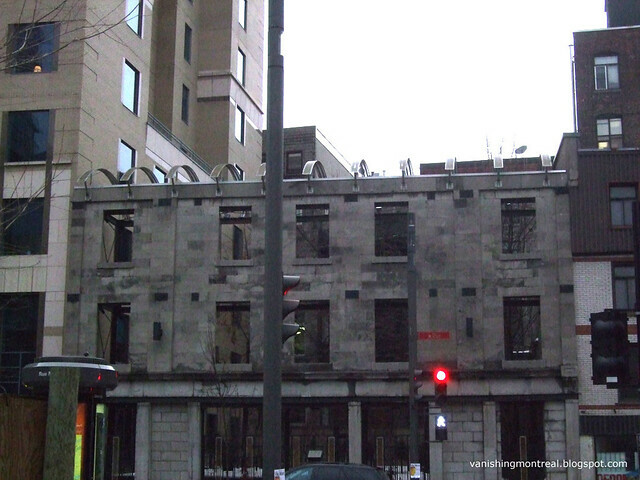 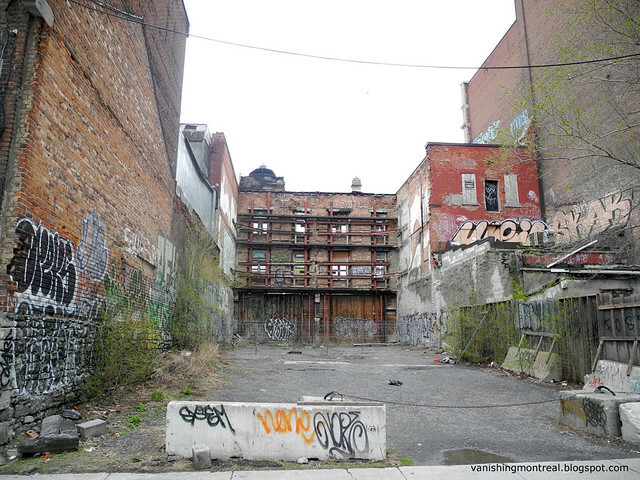 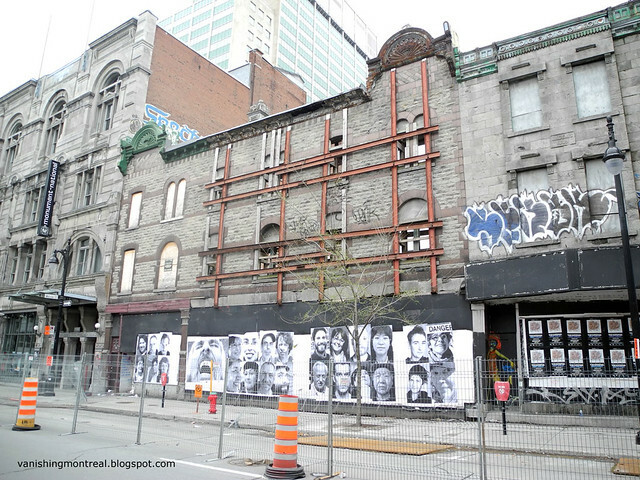 Montréal is quickly turning into a city of facades. 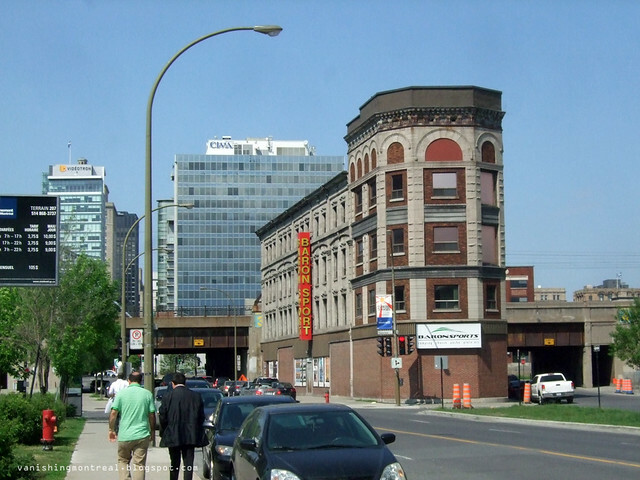 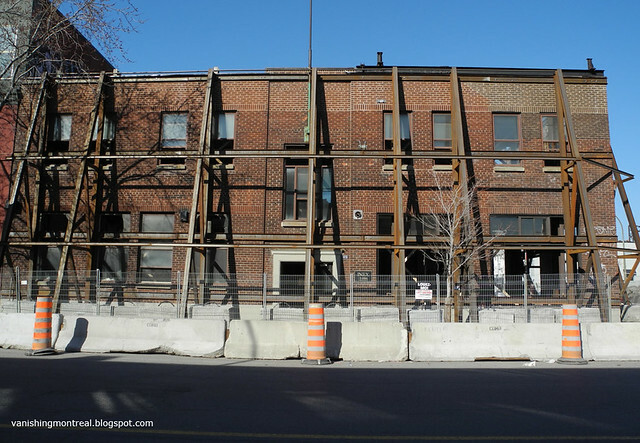 The facade of the Baron sport building (last photo) in Griffintown might be the only left standing if developers have their way. 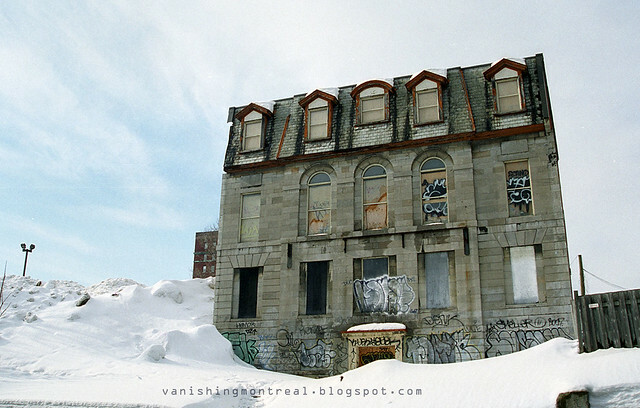 And the house of Louis-Hyppolyte Lafontaine is basically a facade. 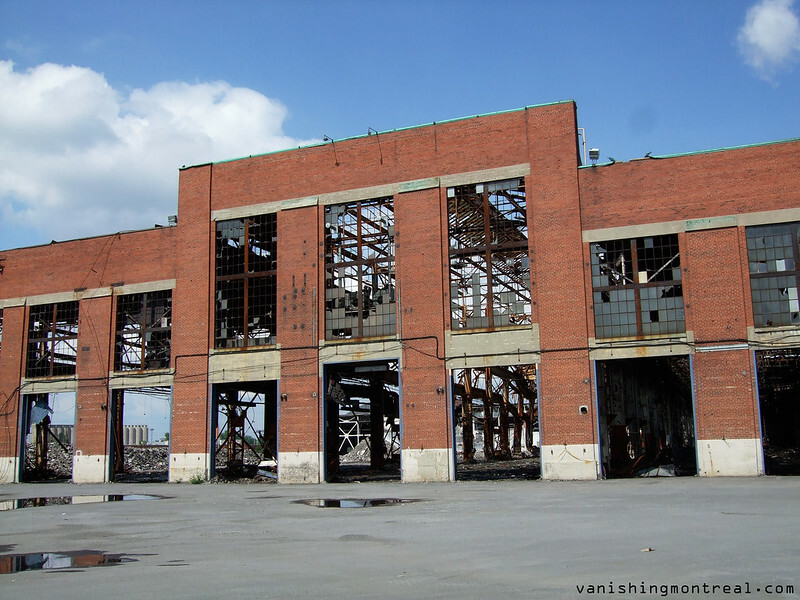 And the Alstom factory in PSC was gutted by fire and was a facade for a couple of years before renovations.